CAROLINELEAVITTVILLE: Terin Tashi Miller and Leora Skolkin-Smith at KGB tonight at 7! You know you want to go! Terin Tashi Miller and Leora Skolkin-Smith at KGB tonight at 7! You know you want to go! 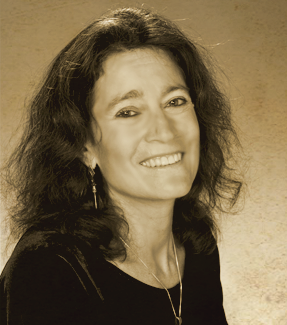 Leora Skolkin-Smith is the critically acclaimed author of Edges (optioned for film and selected by Grace Paley for Glad Day Books), Hystera and the upcoming Stealing Faith, which she'll read from tonight. 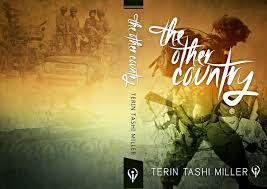 Terin Tashi Miller spent many of his formative years in India, the child of anthropologist parents. Since then, he has lived and worked in a variety of countries in Europe and Asia.http://terin-miller-ohpd.squarespace.com/the-other-country/His writing has appeared in guide books, international magazines including Time and Geografica Revista, and newspapers including The Wall Street Journal, The Dallas Morning News and The Los Angeles Times. He began his writing career as a part-time reporter for Time magazine, then worked for The Associated Press in India and North Dakota and AP-Dow Jones News Services in Spain and New York, and as a reporter for The Fort Worth Star-Telegram, The Milwaukee Sentinel, Amarillo Daily News and the Hilton Head Island Packet. I'm so happy to post their KGB event and to have Terin and Leora answer some questions. What made you want to write about Grace Paley, as a fictionalized character. I had a very long-term relationship with Grace Paley. When she died, there was a a non-stop set of tributes that made her seem too idealized to be a real person anymore and I was very shaken. There were many falsehoods written about her and people claimed political sentiments she never had, using hr for their own political ends. She was a mother and mentor to me and she was the first publisher of my novels, publishing me herself in 005. I owed history and her a truthful, complex portrait. It quelled my rage at what had been said falsely and made me feel as if I had fulfilled a tremendous debt. The background of your noel is the sexual revolution and early feminism of the 1970’s. Is there anything you’d like to say about this era? Just how revelatory in the right of Hillary Clinton’s candidacy as the first woman it was to go back to the days of Ms. magazine and Sisterhood is Powerhood. A fascinating journey back in time for me. You have a book launch coming up, right? Yes. Friday (today) at 7 p.m.-9 p.m. at KGB Bar--an ambition I've had ever since seeing friend and fellow transplanted midwesterner Mark Wisniewski read from Show Up, Look Good and Pulitzer Prize winner Robert Olen Butler read from his novel Small Hotel there. Tell us About The Other Country. It's the last piece in a trilogy of books I set in India, narrated by the same character, a journalist named John Colson. The Other Country is his fictional memoir as he's become a father to a son. And his reflecting on his own childhood in India and Wisconsin, and juxtaposing his experiences as a civilian in India's last officially declared war with its brother, Pakistan, with witnessing the Mujahideen war against the Soviets and 9/11 as a journalist. And his fear for the future of all children. So, is "The Other Country" India? If you like. Or Pakistan. Or Afghanistan. Or the U.S. Or the past in relation to the present or future. What are the other two books in the trilogy, and how did all this writing about India come about? Well, the first book in the trilogy, Kashi, I first got as far as the semi-finals in the first, I think it was Amazon Breakthrough Novel Award contest. I won a self-publishing deal and self-published as From Where the Rivers Come. It won a fair number of awards and recognition for a self-published book. An Indian publisher asked me to revise it, and I did, and they published it as Kashi. The second book, Down the Low Road, I published myself. And a new Indian publisher published The Other Country. I lived there as a kid, visited and worked there, in Varanasi, as a language student and journalist, and have never really been able to shake the desire to write about it, modern India, not the romanticised British Raj, and not as an expatriated or second generation Indian living the immigrant experience.